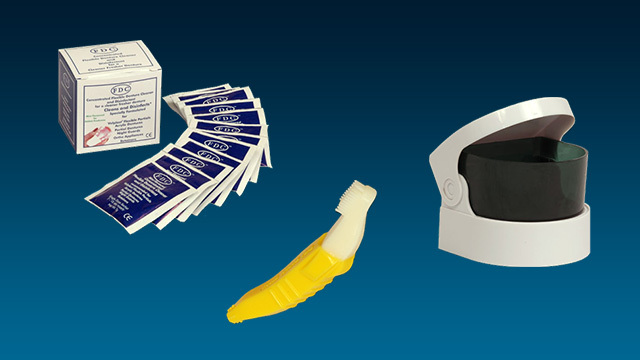 The Denture cleaning kit is the ideal starter selection and travel companion. 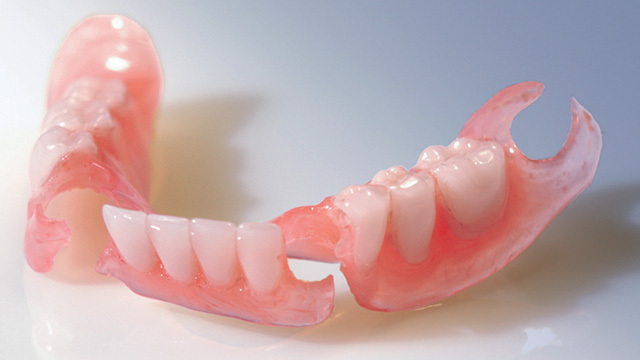 The Flexible Silicone Denture Brush is the only brush soft enough not to damage your Valplast denture but firm enough to remove food particles. 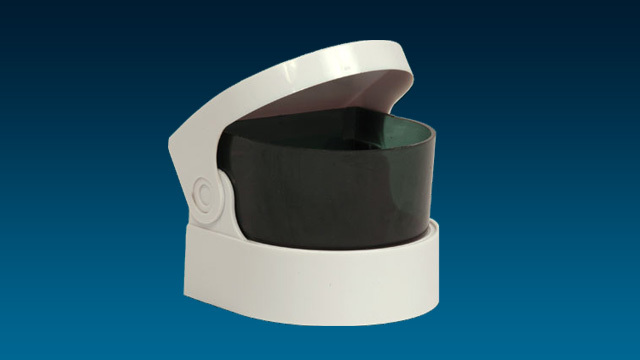 The Sonic Denture Cleaner allows thorough cleaning without scratching the surface of your denture leaving it susceptible to staining. 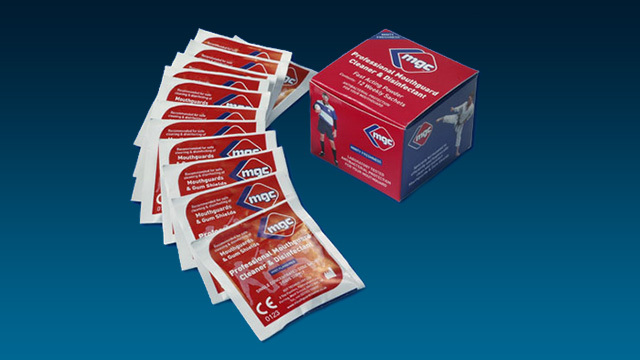 FDC not only disinfects as it cleans but can help against pathogenic micro-organisms present on removable appliances which can cause serious oral inflamation. 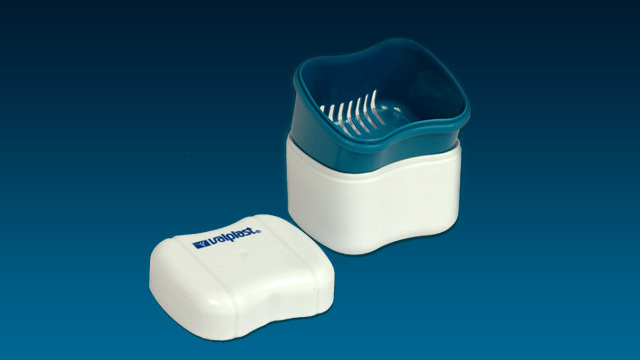 Click here to purchase a Denture Cleaning Kit from our denture products shop. It is important for denture-wearers to follow a thorough cleaning routine, morning and night to ensure adequate dental hygiene. 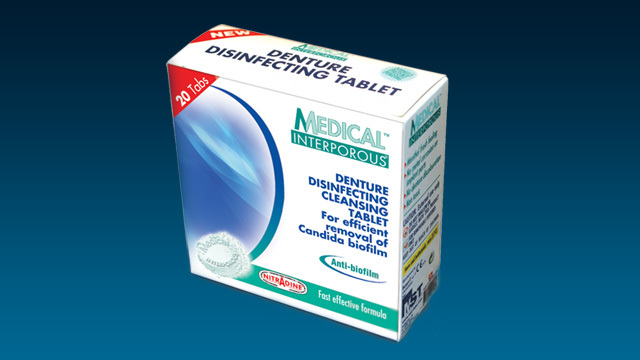 Regular use of Nitradine Denture Disinfecting Tablets ensures very effective denture cleaning. 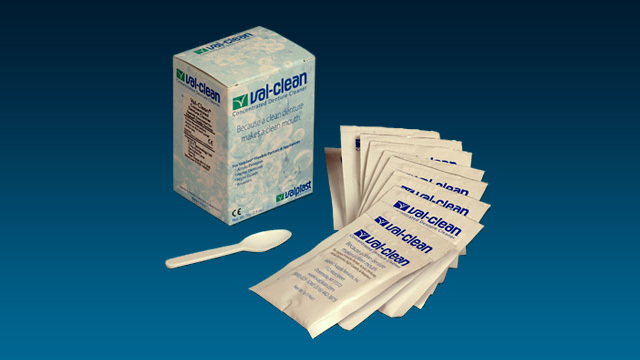 They also eliminate stomatitis symptoms due to a denture or overdenture contaminated with micro-organisms (candida, bacteria, viruses) and prevent the formation of pathogenic bio-film on dentures and overdentures. Non-corrosive, no decolouration or distortion. Non-irritant, non-allergic solution. 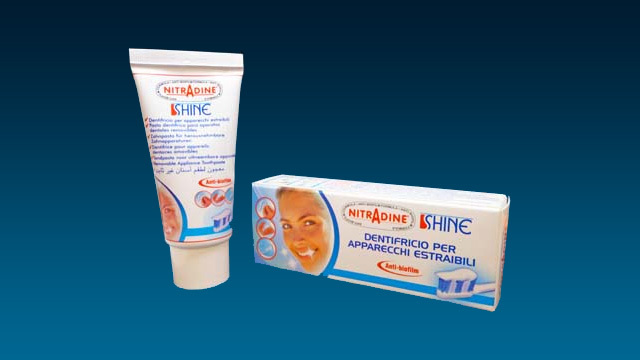 Click here to purchase Nitradine Denture Disinfecting Tablets from our denture products shop.